A little more than a week ago, Ghassan Salame, the UN envoy to Libya, delivered his latest update to the UN Security Council about the situation in the war-torn country. Unfortunately, even the most optimistic assessment of his remarks does not offer much in the way of assurance for Libyans, their regional partners or the international effort seeking to restore normalcy to the country. Salame’s arrival in June 2017 was well received and breathed fresh air into a stagnant UN-backed transition process that began on September 16, 2011. In its seven years of operation, the United Nations Support Mission in Libya (UNSMIL) has replaced its head of mission five times. Failures, setbacks and controversies have dogged the UNSMIL transition process, which has only prolonged the hardship on the Libyan people. 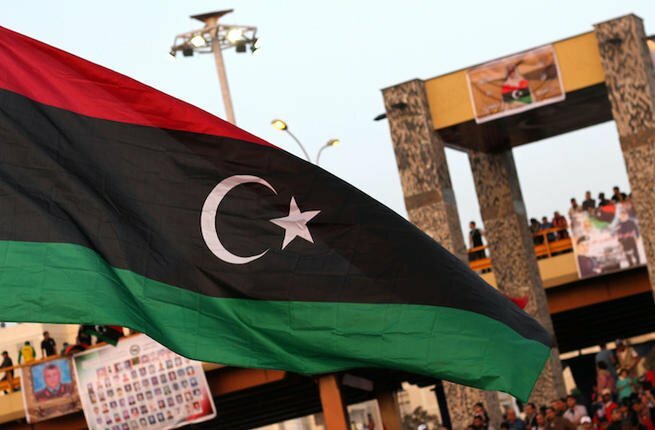 Each change of leadership has failed to bring Libya any closer to completing the transition to holding elections and establishing a stable, unified government backed by strong public institutions. In fact, early last year, a report produced at the end of a National Conference Process blamed the lack of political progress on “conflicts among the country’s elites,” who have neglected their duties, robbed the national coffers and only worsened the nearly eight-year-long crisis. Yet, it is toward these same “elites” that Salame’s efforts are directed, signaling the potential repeat of a cycle of flurries of activity, high-level meetings, press conferences, reports and then stagnation — followed by the appointment of a new UN special representative. Each new change of leadership has not brought Libya any closer to completing the transition, holding elections and establishing a stable, unified government backed by strong public institutions. Unfortunately, that path is likely to be blocked by numerous complications. Potential concerns would involve securing funding for the elections, arranging for their security and ensuring the smooth functioning of public services. Above all, should elections go ahead, it is likely that there will be a lot of difficulty garnering support for and acknowledgment of the results. After all, Salame’s preceding remarks point to “saboteurs” and “spoilers” determined to disrupt the political processes in Libya. So far, these detractors have managed to cripple the UNSMIL’s consensus-building efforts. Should the status quo persist, other nefarious actors, such as Daesh and Al-Qaeda, are likely to continue expanding their territories and influence, particularly in Libya's less-populated south. Already, Daesh has claimed responsibility for an attack on the Election Commission that killed a dozen people, followed by an attack on the Ministry of Foreign Affairs last year. Should any “progress” be made after the National Conference, it is likely that these attacks will escalate. Even major armed groups such as the Libyan National Army (LNA) might feel threatened should results or political will lean west toward Tripoli rather than east towards Tobruk. For now, only a fragile ceasefire is keeping armed factions at bay but recent unilateral LNA incursions further south, albeit “welcome” for restricting Daesh movements there, are a cause for concern. Ultimately, it appears as though Libya might spend another year in transition, given that the UNSMIL’s mandate expires in September, which will necessitate an extension into late 2020. It remains unclear whether any significant progress will be made and all eyes will be on the outcome of the National Conference, at a yet-to-be announced date and venue. However, Libya’s woes and the UNSMIL’s stumbles are not unique to that country, or the region for that matter. The world, or more specifically, the Security Council, is distracted. Global powers are seemingly “busy” looking elsewhere while the situation in Libya continues to deteriorate. Putting the disappointing post-2011 Libyan Civil War arrangements aside, world powers have had numerous opportunities and justifications to intervene directly and “force” the transition in Libya. Yet, not even capsized migrant boats, the auctioning of slaves, the growth of Daesh a stone’s throw from Europe, or years of war and instability creating perpetual humanitarian crises have spurred the world to demand direct intervention in Libya’s affairs. Piecemeal efforts continue to be the modus operandi for the UN and the international community. For all intents and purposes, Libyans are on their own and will probably remain so long after Salame's tenure comes to an end.